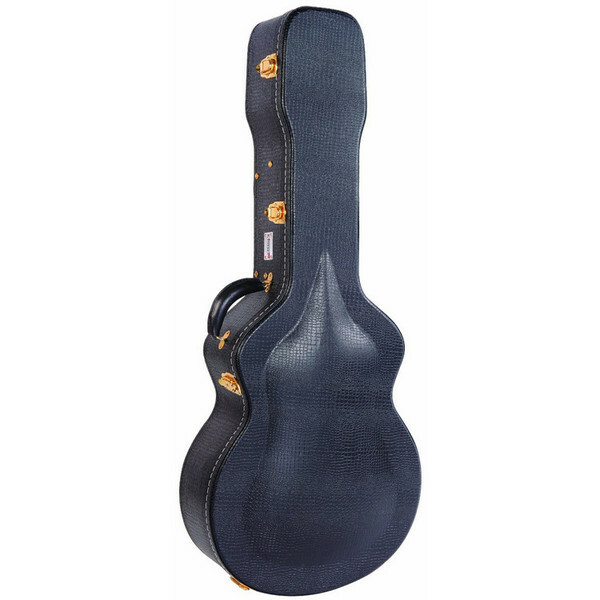 The Kinsman Deluxe Hard Shell case provides you with years of safe guitar transportation. Fitted with durable mock Crocodile skin covering, retro style stitched valance and gold coloured clip-over catches it also looks the part. The case comes with a 5mm wood shell, 10mm padded body surround compartment, neck support and a hinged lid storage compartment for all your guitar accessories. The perfect mix of style and security!